Unlock Your Full Potential: Unlocked 2nd gen Intel Core processors enable system tuning, providing extra performance and flexibility for more complex multimedia applications and immersive gaming. 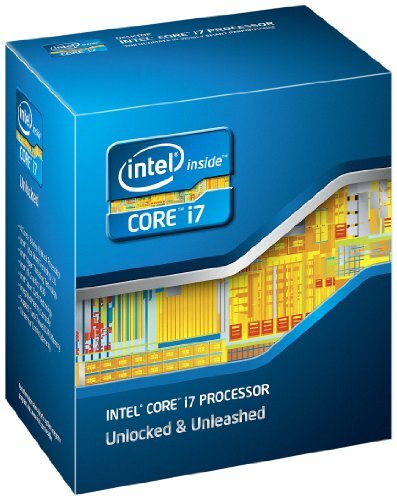 The Intel Core i7 processor is the top of the line, offering both Intel Turbo Boost Technology 2.0 and 8-way multitasking with Intel Hyper-Threading Technology. This quad-core processor with built-in visuals, complimented by 8 MB L3 cache, provides incredible performance. The 2nd gen Intel Core processor family delivers a visibly smarter PC experience. Improved performance, greater adaptability, and unique visual features combine for a better computing experience you can see. Whether you use the PC to be creative, play games, or for everyday tasks such as homework, these new processors make it easier for you to design, render, edit, play, and share. The 2nd gen Intel Core processors feature Intel Turbo Boost Technology 2.0, delivering a burst of processor speed automatically when the workload demands additional performance and Intel Hyper-Threading Technology, allowing each processor core to work on two tasks at the same time, improving multitasking, speeding up the workflow, and getting more done in less time.